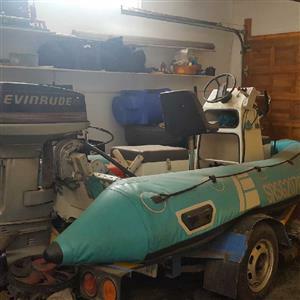 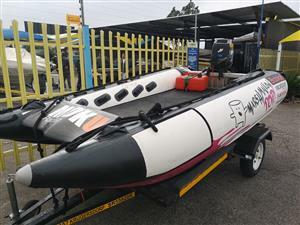 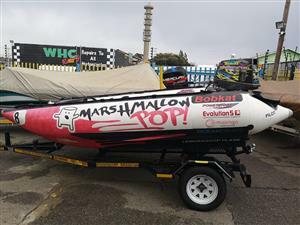 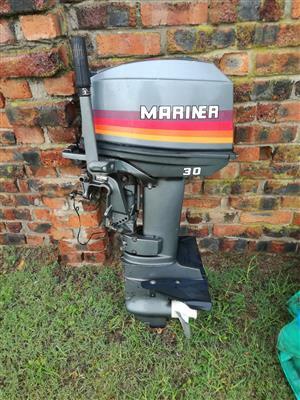 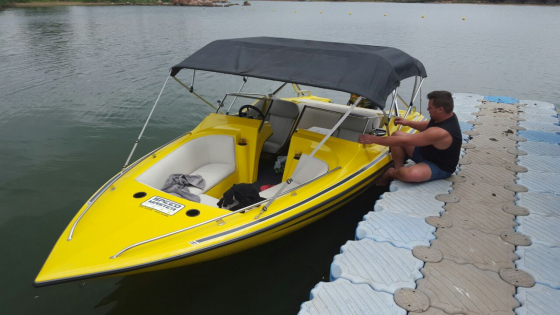 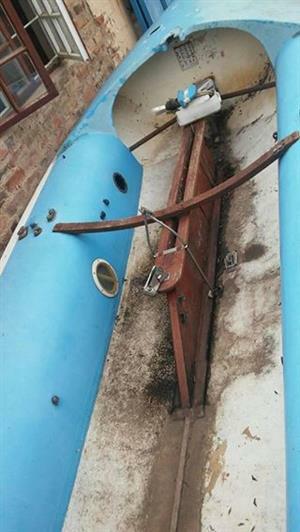 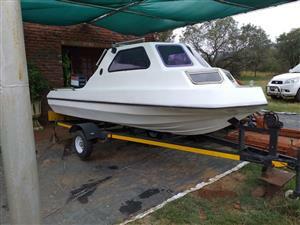 Pencil Racing Duck, 50Hp Yamaha Excellent Condition Great Fun Serviced & wheel bearings done Paper work in order R60 000.00 Gus: 082 925 5857 Susan: 072 789 6345 Landline: 010 023 0731 www. 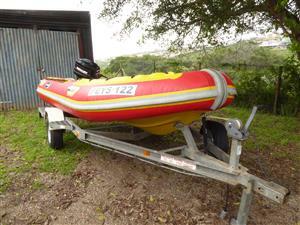 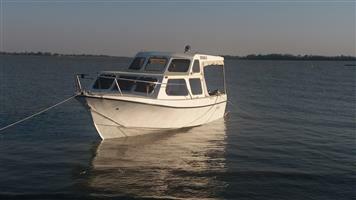 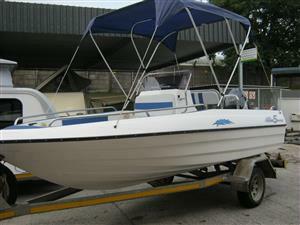 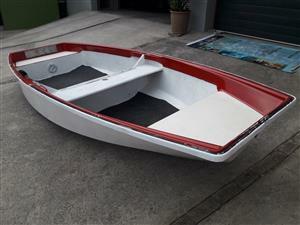 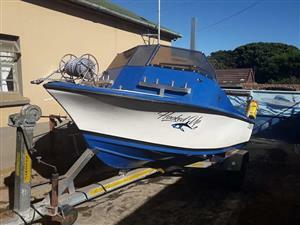 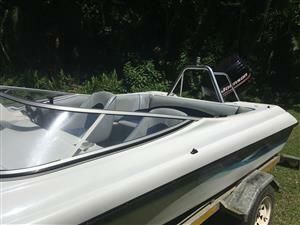 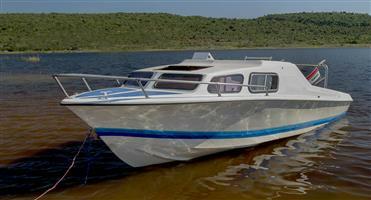 BARGAIN OF THE YEAR 7.2metres (21ft) Raven Speedboat with 225 Mercury engine(very powerful). 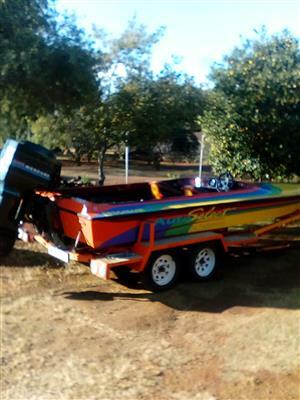 Double axle trailor papers in order.